Fifteen years ago, I wrote a job-wanted sign and hung it outside of a bathroom near Seattle’s Fisherman’s Terminal. It read: “Experienced deckhand looking for work on a commercial crab or halibut fishing boat in Alaska --- hard worker --- does not get seasick” I was 24 years old, energetic and ambitious, with a few years of salmon fishing experience but naive to the world of high seas fish-work. After a few shifty respondents, I was hired by a seasoned Norwegian fisherman and flew on a small prop plane past the icy volcanos and windswept passes of Alaska’s Aleutian Islands, eventually slamming down onto the short runway in Dutch Harbor. The experience would forever change the direction of my life and shape my identity as both a fisherman and photographer. Isolated from the mainland by some of the world's roughest waters, Dutch Harbor is a thriving, working-class commercial fishing port surrounded by steep mountains and lonely windswept valleys. It’s a place where industry and nature collide in strange and beautiful ways, a place where people harvest seafood on a massive scale, and share their meals and their refuse with local wildlife --- from rapacious bald eagles to curious foxes. 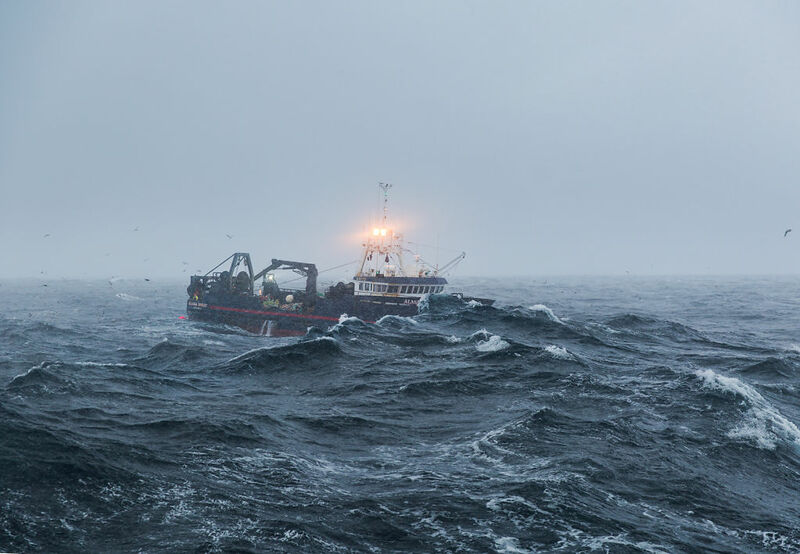 That first year I worked jigging for Codfish in the Bering Sea and continued to return for work as a crabber for the next seven seasons. What lured me back though wasn’t only the money, but the curious and often masochistic realization of the American dream happening in the Aleutian Islands. Those who come here often possess a desire to escape the safety of home to work in an environment filled with risk and visual grandeur that is far from ordinary. In recent trips, I joined fisherman at sea aboard crabbers and trawlers, and on land documenting the surreal landscape of fishing culture that once captured my imagination as a young greenhorn. Aleutian Dreams is a collection of images from my journey through this wild and unforgiving frontier of Western Alaska.